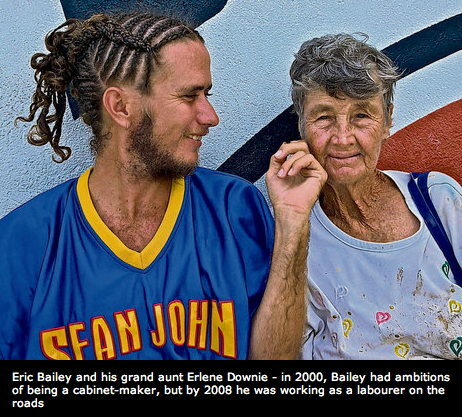 Irish Times: Most Barbados Red Legs have bad or no teeth. Many blind, without limbs. I’ll leave the discussion on this one to our readers! “In 1636 a ship sailed out of Kinsale bound for Barbados. Its cargo? Sixty-one Irish people destined to join thousands of others as indentured servants. Photographer SHEENA JOLLEY met their descendents, the Red Legs, who still live there today. Sometimes I can’t figure things out at all. This is one of those times. Now we see in The Nation a claim by the teacher apparently in the video, Michael Franklin, that the video was staged as a prank. We are dumbfounded that Mr. Franklin views his participation in the making of the video as appropriate behaviour for a teacher. Here is the article published at The Nation. As any teacher might say: Please review and discuss. A VIDEO CLIP circulating on the Internet called “Barbados Flogging, Brutality, Coach Of St Leonard’s Boys’ Cricket Team Goes Wild On Bad Students” with a teacher brutalising two boys with a belt in a room is a hoax. Let’s tell the truth about Kwanzaa, shall we? “Independent African Nation on the North American Continent” sounds political to me… and racist too! Kwanzaa was invented in 1966 by Ronald McKinley Everett who changed his name a few times and finally settled on Maulana Karenga. Karenga was the founder of the murderous United Slaves movement in the 1960’s and was funded at the time by the American Federal Bureau of Investigation – the FBI – in a warped scheme where the FBI decided the best way to fight the black power movement was to fund different factions to keep them from uniting. After inventing the racist celebration of Kwanzaa in 1966, in 1971 Karenga and two other associates were convicted of kidnapping two black women and torturing them in an effort to learn if they were working for anyone else. Interesting considering that Karenga was the recipient of FBI stoolie money himself! After all… clean is beautiful, you know! That’s the principle being illustrated by working together to torture the women.